Snorkel at Crystal Beach, a picture-perfect beach on the coastal edge of Tayrona National Natural Park (Parque Nacional Natural Tayrona)! 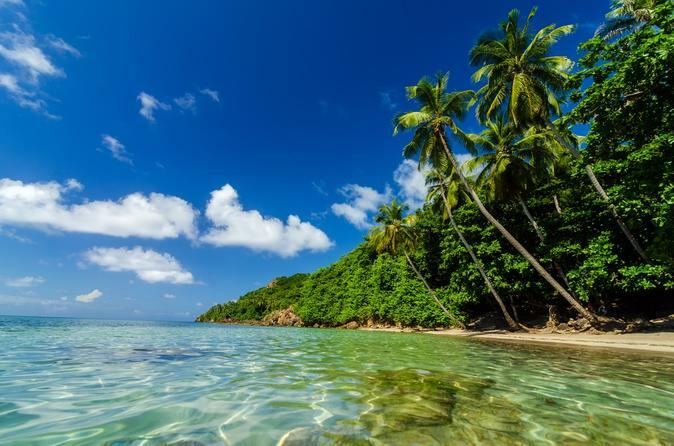 This day trip from Santa Marta lets you experience two of Colombia’s most beautiful natural attractions, including the 37,000-acre (15,000-hectare) protected park on northern Colombia’s Caribbean coast. A local guide helps you find wildlife like monkeys and condors in the foothills of the Sierra Nevada de Santa Marta, one of the highest coastal mountain ranges in the world, before snorkeling in the beautiful bay and relaxing on white sand. 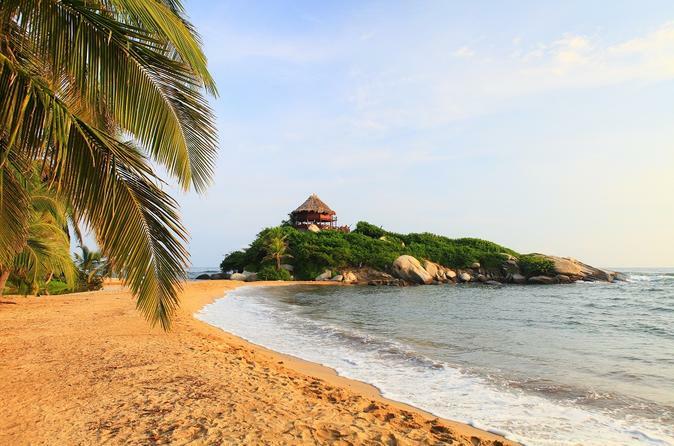 Visit Tayrona National Natural Park and swim in a reef-formed pool in the Caribbean on this day trip from Santa Marta. 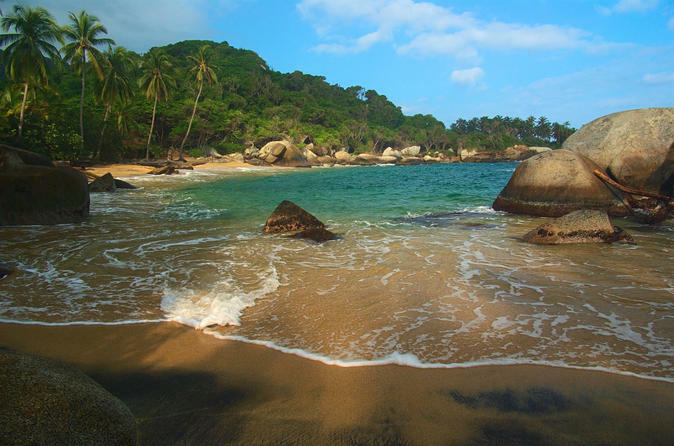 Parque Nacional Natural Tayrona, as it’s known in Spanish, is one of the most popular national parks in Colombia, home to animals like monkeys, dolphins and condors that live in its 37,000 acres (15,000 hectares) of land and sea. A local guide will lead you on a walk through the park to a white-sand beach where you can swim in the clear water of the natural pool and enjoy lunch. View landmarks of Santa Marta and its surroundings on a half-day sightseeing tour by comfortable coach. A knowledgeable guide takes you on a tour of the estate grounds and botanical gardens of La Quinta de San Pedro Alejandrino. View monuments to Colombia’s renowned 19th-century leader, Simón Bolívar, and the country's famous soccer player Carlos Valderrama. You’ll visit the picturesque fishing village of Taganga and take in the coastal views along the Bay of Santa Marta. Round-trip hotel transport from the El Rodadero area is included. Trek through the jungle to Ciudad Perida, Colombia’s ‘Lost City’ in the Sierra Nevada, the mountain range outside Santa Marta. This ‘into the wild’ experience will have you trekking over rivers and alongside waterfalls for four, five or six days as you make your way to the ancient archaeological site, founded by an indigenous culture around the 9th century. 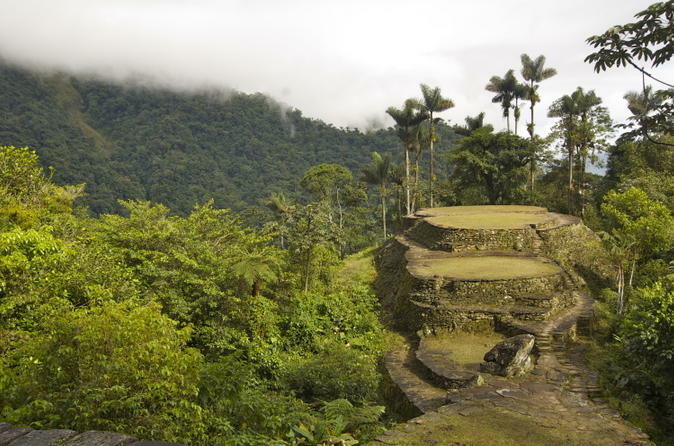 This outdoor adventure can be tough — you’ll walk up to several hours each day — but worth it for the amazing experience of getting ‘lost’ in the jungle and finally arriving at the extraordinary Ciudad Perdida, surrounded by lush mountain foliage. 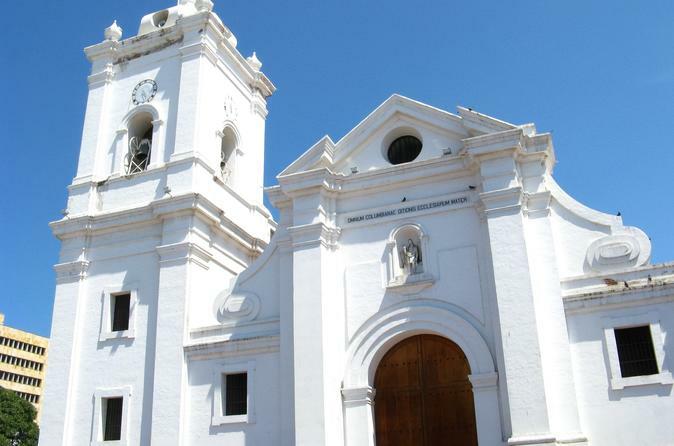 Visit two of the Santa Marta area’s best attractions on this 7-hour tour. For a little family friendly fun, you’ll start at the Rodadero Sea Aquarium and Museum, which you’ll reach by motorboat! Check out a variety of sea creatures, including dolphins, turtles, sea lions and sharks; 90% of the aquarium’s marine life is native to the region. Then spend the rest of the tour relaxing at Playa Blanca, a popular, crescent-shaped beach that’s great for swimming.